It is possible for HR leaders to get to the top of the C-Suite if they begin transforming the role of HR from a purely operational function to that of a strategic business partner instead, says Ronald Lee, Managing Director of PrimeStaff Management Services. For HR leaders to so much as be considered for the C-Suite, they need to transform their departments from a tactical, operational function to that of a strategic business partner within the organisation. For most companies small or large, this begins with a critical paradigm shift originating from inside the HR unit itself. First and foremost, HR needs to view their purpose as more than simply administrative. These days, you can outsource many HR administrative functions such as recruitment, compensation and benefits, payroll, training and development, and even performance management to HR consulting companies. The top benefit of outsourcing is that it frees up time and manpower resources so that HR professionals can focus on higher level HR initiatives. These include talent management, organisational development, and succession planning, which have a more powerful impact on the company’s overall business strategies and operations, and consequently, its financial success. They ought to think of themselves as business owners and start developing C-suite level thinking. By doing so, the next step will come naturally: demonstrating that they have a thorough understanding of the company’s business. Whatever human capital strategies they design should then be presented as a business case, with an emphasis on how these initiatives will contribute to the company’s bottomline. Additionally, HR leaders should also be more customer- and service-oriented. They need to view employees as customers who need to be promoted to in order to get ‘buy-in’, instead of pushing HR initiatives and expecting all workers to simply toe the line. It is truly unfortunate if HR leaders fail to realise that they actually hold the key to the most critical component of any organisation: the employees. People are the backbone of any business and they are the ones who drive an organisation’s success – and HR leaders should certainly capitalise on this fact. targeted training and other initiatives, and measure their contributions in tangible dollar value while ensuring high retention rates, then you will be one step closer to the C-Suite. shape the right corporate culture that will serve as a platform to engage employees and enhance their ownership of the broader business objectives. Indeed, HR’s transformation to that of a strategic business partner also calls for effective change management. With a clear vision in place, the HR leader should involve the rest of the department in this change process so that each HR worker takes ownership of this objective and adopts the role of a ‘change ambassador’. Because it is only when the necessary buy-in is attained, and the entire HR unit is onboard with the new strategic direction, that the delicate process of transformation can truly begin. With meticulous planning and management, it will subsequently radiate outwards, pervading the other departments and becoming a pivotal force for organisational change. 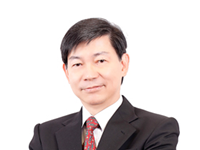 Ronald Lee is the Managing Director of PrimeStaff Management Services Pte Ltd, the recruitment and human resource consulting company he founded in 1994. Armed with over 25 years of experience in the corporate sector, Ronald has worked in human resource management and development roles within major local and multi-national corporations in the property development, hotel, banking and information technology industries. Heeding his life’s calling, Ronald channelled his passion for people and set up PrimeStaff Management Services, which provides a comprehensive suite of recruitment services across a wide range of positions, functions and industries in the Asia Pacific region. Today, the successful entrepreneur leads a 37-person team that is responsible for driving one of Singapore’s leading human resource consultancies known for its service excellence, reliability and effectiveness in delivering value added services. An industry veteran, Ronald has been invited by various media such as Channel News Asia to comment on issues relating to the economy and human resource industry. Ronald holds a Degree in Business Administration from University of Western Sydney, Australia and a Graduate Diploma in Business Management from the United Kingdom.